This time last year Clair Victory was in unspeakable agony. Each day brought increasing pain and she felt thoroughly miserable. "My quality of life was deteriorating with every single week and I was rushed into hospital twice. "I was in agony, I bled all the time and was at the end of my tether." She wanted a second child, but said her endometriosis had laid her so low that all she could think of was getting through each day. Endometriosis, which affects around two million women in the UK, can cause severe pain, heavy periods and infertility. It results in patches of the womb's inner lining growing in other parts of the body. Then last autumn she had extensive keyhole surgery. 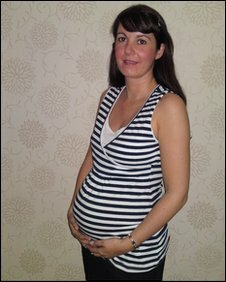 Within weeks Clair, aged 35, felt better and was having normal periods and after two months had conceived naturally for the first time. "I had wanted more children but the pain had got to the stage where I just wanted a normal life," said Clair, from Bury, Greater Manchester. "The pregnancy was a real surprise, but a welcome one." Clair's consultant at the private Spire Hospital, Mr Ashwini Trehan, said her case had been particularly bad. She had been given less than a 5-10% chance of conceiving naturally due to the severity of her endometriosis, had been in pain for 20 years and had five procedures to try to alleviate the condition. "She had been told a hysterectomy was the answer," said Mr Trehan. But Mr Trehan, who also carries out the surgery for the NHS in Dewsbury, was determined to help preserve Clair's future fertility. "Surgery for endometriosis is the most difficult and complex gynaecological operation to perform as it can adversely affect the bowel, bladder, ureters [tubes that carry urine from kidneys] and large pelvic vessels," he said. He added that in his own practice he advocated a radical approach to avoid the endometriosis recurring and leading to a hysterectomy. "While pelvic peritoneal excision surgery is an effective surgical option for treating endometriosis, it has up to a 40% recurrence rate and often results in removal of the ovaries and womb [hysterectomy]. "Total pelvic peritoneal excision, which I advocate, is an extension of the above excision technique where the entire skin of the pelvis is removed. "Also, this technique helps to preserve the ovaries, which are commonly removed by other endometriosis treatments." 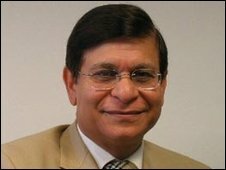 Prof Janesh Gupta, trustee of Endometriosis UK, said that although it is excellent that in this case the surgery was effective, it may not be applicable to all women. "A single case of success cannot be used to advocate six hour surgery without the evidence to support its value," he said. Clair says though that her life has been transformed. "I started with the symptoms of endometriosis when I was about 15. "In my early 20s they said I had widespread endometriosis and was not going to be able to have children. I was absolutely devastated. Me and my mum were sobbing in the bathroom. "I had not even thought of having a family, but as soon as that option was removed you think 'My life is going to be totally different from what I expected'." At 28 she married and at 30 had her first child, Janim, by IVF, but her pain increased after the birth and she put her hopes for a second baby on the back-burner. Clair explains the surgery has given her back her life. "It was simply amazing and after just two weeks, my periods returned to normal and I was pain-free for the first time in years. "I knew that my symptoms were worsening and I was desperate to avoid a hysterectomy. Mr Trehan has given me my life back and I am so thankful to him and the hospital staff for all that they have done. "I wasn't expecting to fall pregnant so soon but I am delighted and I can't wait to meet my baby in September."